As I write this, the death toll in the Las Vegas massacre has hit 58 people, with more than 515 injured. My God. An incredible number. Something is deeply, deeply amiss here. Deeply wrong. It takes quite a bit to shock most experienced reporters. But I am, and also saddened. The paper you are holding in your hands this week is indeed different. It’s 35-pound, bright white stock, heavier and brighter, and it will significantly improve our reproduction of both news images and advertising messages. Both are good things. This week’s Courier is also slightly wider, by close to half an inch. And, we have dramatically expanded our color capacity for both news and advertising, a development I’m especially pleased about. Taken together, we can now present more advertising and more news in formats that are easier to read and more effective for advertisers. We are the only genuine paidsubscription newspapers in Putnam County, along with our sister paper the Putnam County News & Recorder. We also are the only broadsheets. Which means, simply, more space and more impact that others can’t come close to matching. We’re taking names. Call and we’ll sign you up for a subscription! 845-265- 2468. I plan to be in the Carmel and Brewster areas on Thursday afternoon. If you’d like to chat or have a hot story tip, call me. I’ll even buy coffee. We’ve started a Political Notebook for some of the events and pronouncements from the sundry folks running for office this fall. If you have an item to submit, send to editor@pcnr.com. If you’d like to advertise, my advertising rep Joan Byrnes has a pretty sharp pencil these days. She is at 845- 225-4726, or by cell at 914-954-4034. Note that there are only four issues left ahead of Election Day. 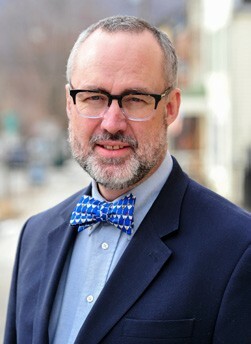 Douglas Cunningham is editor and publisher. Reach him at 845-265- 2468, or by email at editor@pcnr.com. Letters to the editor, on this or other topics, are welcome. Please send by email as plain text or a Word document by 9 am Monday. Campaign letters are welcome, as well; limit to 500 words.